When making a decision of whether to sell or buy dollars, it all comes down to the performance of the economy. A strong and stable economy attracts investment from across the globe because of its ability to achieve a considerable rate of return on your investment. Investors always search for the highest return that is foreseeable or rewarding. Investments from overseas create a stable capital account; as a result, the demand for dollars surges. Additionally, American consumption results in importing services and goods from several other countries causing outflow of the dollars. If the imports turn out to be more than the exports, a deficit will result in the U.S. current account. Having a stable economy, a country tends to attract foreign capital to help re-balance its trade deficit. The U.S. will remain a consumption base that drives the world economy even if it is the debtor country, borrowing this money to use. When the U.S. exports goods or services, they create a demand for the dollar because the customer countries will have to convert their local currency into dollars. Therefore, they need to sell their local currencies to acquire dollars to make their payment. 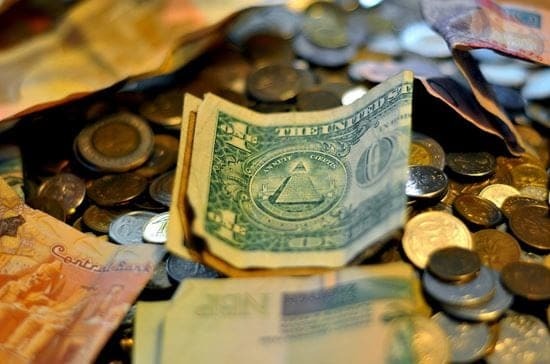 Additionally, the moment when the American corporations or the U.S. government issues bonds, and whenever they are bought by foreigners, they will need to be pay in U.S. dollars hence they will need to sell they local currencies to buy dollars in order to effect the payment. Similarly, when the U.S. companies expand their earnings and continue growing, foreigners tend to be attracted to them and would like to acquire some corporate stocks which will require them to sell their currencies for the dollars to pay for the stocks. In case the U.S. consumption slows and its economy weakens probably due to increasing unemployment, what will happen? Then the foreigners may sell the U.S. bonds and stocks and return the dollars to obtain their local currencies. With this in mind, the impact on the value of the U.S. dollar will be huge. Predicting its movement, when all factors remain constant is visible – such a case is only applicable in ideal situations. As a trader, you have to gauge if the supply of dollars will be less or higher than its demand. For ease of determination, you have to consider various event items and news such as the release of various statistics by the government, for instance, GPD data, payroll data, employment and other information that can help you determine what is happening in the economy and determine whether the economy is weakening or strengthening. A CMC Markets report insisted on this factor, and its careful consideration when making a trade in the forex market. Additionally, you have to find out the general views of the various players in the market regarding what the outcome of the event is likely to be. Mostly, sentiment will fuel the market rather than the forces of demand and supply. To enhance this combination of prognostication, besides the measurement of demand and supply factors, the historical patterns that come up from seasonal factors, resistance and support levels among others can be used to determine future movements. Many traders have bought this idea because of the repetitive nature of these patterns. Finally, because forex trading depends on the trader to take and manage risk accordingly, traders usually manage to combine the above three factors when making a decision whether to buy or sell their currencies. The beauty of forex trading exists in piling the odds in your favour and setting yourself apart from the competition. Whenever the trader feels like the market favours him, he can enter the market and manage his assumptions accordingly. For the odds to be stacked in your favour,you need to carefully take into consideration the three methodologies and establish whether they are congruent, that is, if they all point in a similar direction.